Anna Maria Island is an exquisite place that sets an entirely new standard of beauty when it comes to Florida. Nowhere else in Florida will you find such delicate and serene beauty matched with an old time charm and atmosphere. Once you visit, we guarantee you will be back for more. No one can resist the pleasures that Anna Maria Island has to offer. Inevitable people find it easier to call Anna Maria Island home instead of coming back year after year because let’s face it, she has everything you could possibly need! Looking for a luxury beachfront home? We’ve got you covered! 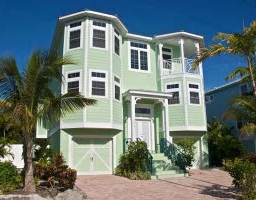 Our Anna Maria Island Real Estate partner – A.M.I Beaches Real Estate can offer you this wonderful opportunity. A.M.I Beaches Real Estate Specializes in the selling and buy of beach style properties throughout Anna Maria Island, with multiple property options located in the City of Anna Maria, Bradenton Beach and in Holmes Beach. A.M.I’s diligent service from start to finish means that your peace of mind and buyer / seller satisfaction is assured. So whether your dream real estate is one of Anna Maria Island’s beautiful white sandy beaches, or perhaps a canal front or bay front property, start you search today with A.M.I Beaches Real Estate. We can help you attain your dream house today!